Home > Headlines > News > 2017 GMC Sierra 2500 HD: Did You Say You Needed Power? If we are looking for a muscular pickup truck with plenty of towing capacity, there are quite a few options on the market. For many, half-ton trucks will be more than enough. For others, there are models like the 2017 GMC Sierra 2500 HD. Capable of towing more than 10,000 pounds without flinching, the 2017 GMC Sierra 2500 HD is designed for heavy work while also offering a refined and comfortable ride for everyday use. 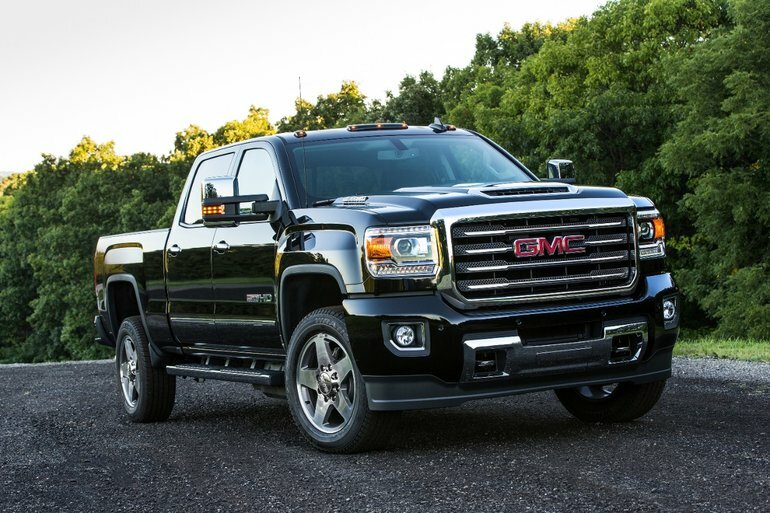 The GMC Sierra 2500 HD is available with a 6.5-foot or 8-foot box. As you would expect, a powerful diesel engine is offered to go along with a gasoline engine that is just as muscular. The 6.6-liter Duramax turbodiesel V8 has been redesigned this year with a new fuel delivery system, among others. Combined with a six-speed automatic transmission, this engine offers 445 horsepower and 910 pound-feet of torque, making the GMC Sierra 2500 HD’s Duramax more powerful than the Cummins engine found in the Ram lineup. What really counts with a pickup in this segment is towing capacity. With the right equipment, the 2017 GMC Sierra 2500 HD will be able to tow up to 18,100 pounds (8,210 kilos) while payload is set at 3,534 pounds or 1,603 kilos. To facilitate towing, the 2017 GMC Sierra 2500 HD is available with an optional diesel exhaust braking system that increases braking force. A hill start assist system as well as trailer sway systems are offered, and so is GMC’s StabilitTrak traction control system. A digital steering assist system improves handling and steering feel when towing a heavy load. The other engine offered with the 2017 GMC Sierra 2500 HD a 6.0-liter V8 developing 360 horsepower and 380 lb-ft of torque. A little less powerful than the Duramax diesel, this engine still offers plenty of towing capacity. When it comes to equipment, the 2017 GMC Sierra 2500 HD offers standard or optional Apple CarPlay and Android Auto functions, heated seats, ventilated seats, dual zone air conditioning, built-in Wi-Fi access, OnStar assistance, navigation system, leather seats and automatic braking. Lane departure warning are also offered on the 2017 Sierra 2500 HD. The 2017 GMC Sierra 2500 HD is available starting at $ 42,030. Come in today to Bruce GM Middleton and discover everything this rugged and powerful pickup truck has to offer.